This is the world's most advanced Scrabble set. Packed with LEDs, RFID sensors and fancy software, it's the cutting-edge in boardgames—and it's worth a cool $30,000. 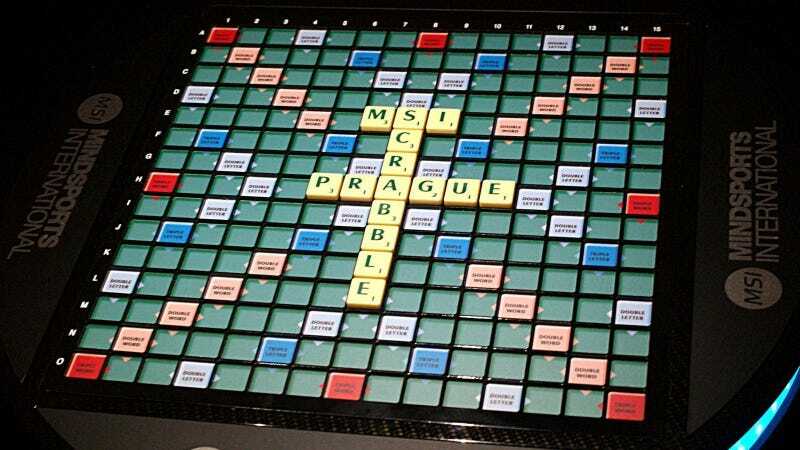 Designed especially for the Prague Mind Sports Festival—where clever types gather to compete in a range of mentally taxing games—this board is designed to help broadcast games online, in real-time. RFID sensors beneath each square—there are 225 in total—detect the presence of tiles which have corresponding RFID tags embedded in them. Software then scans the board every 974 milliseconds to update a live internet feed of the game, as it happens. The whole thing is clad in carbon fiber, and uses LEDs to dramatically light the playing surface, too.